Saudi Arabia overturned the death sentence  of Palestinian poet Ashraf Fayadh, accused of apostasy and other blasphemy-related offenses which he denies, to eight years imprisonment and 800 lashes, announced his lawyer via Twitter today. The court has decided to overturn its previous decision and issued a new verdict. Details enclosed. The lawyer maintained that Fayadh was innocent and called for his immediate release from prison. Fayadh, who was born and lives in Saudi Arabia, has curated art shows  in Jeddah and at the Venice Biennale and has been a key leader of Edge of Arabia , a British-Saudi art organization. Fayadh was first detained in August 2013 in Abha, in South Western Saudi Arabia, by the country's religious police , also known as the Committee for the Promotion of Virtue and Prevention of Vice . The 35-year-old was released on bail only to be arrested again on January 1, 2014, when he was sentenced to four years in prison and 800 lashes. 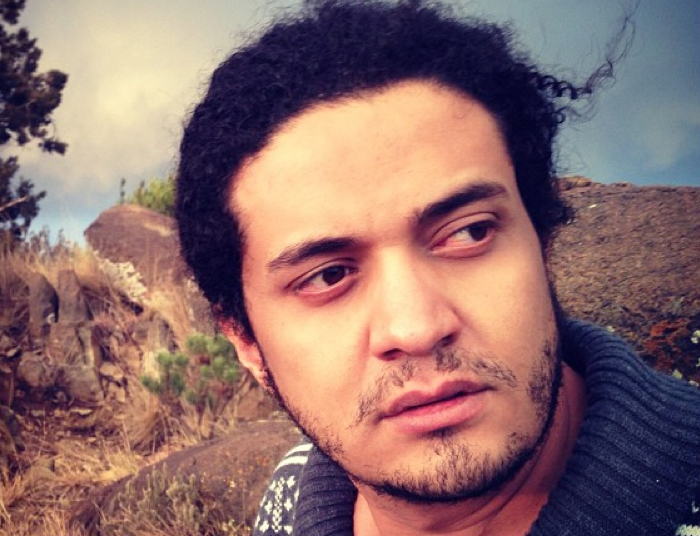 After his attorneys appealed, judicial authorities decided to re-try his case before a new panel of judges, who sentenced Fayadh to death in November 2015, on charges of promoting atheism in his 2008 poetry collection, Instructions Within. قضية #أشرف_فياض  دليل صارخ على أهمية “تدوين الأحكام”، الذي سيخرج الحكم القضائي من سلطة القاضي ومشاعره وانطباعاته واستنتاجاته الشخصية. I am shocked with those celebrating Saudi justice. Is jailing him for eight years just? Or are the 800 lashes just? What justice are you talking about?